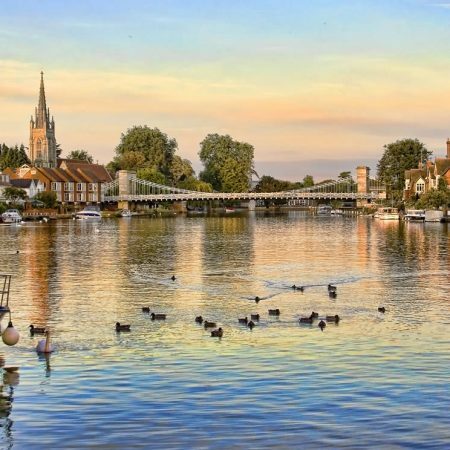 Our Stevens 34 is berthed at Windsor Marina which lies in a pretty garden setting, with a large river frontage and is one of the most attractive marinas on the Thames. 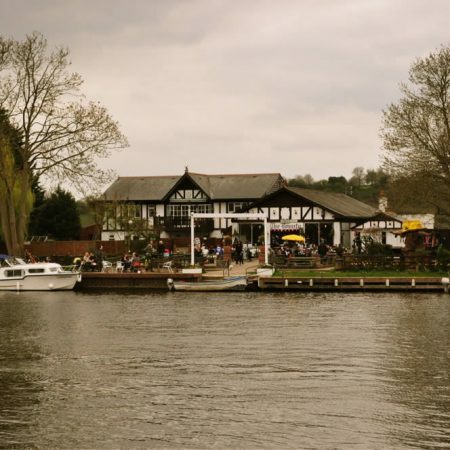 Upstream, you have the culinary delights at Bray and a host of historical towns such as Henley. Downstream, and with more time, the Thames is navigable as far as Oxford. Windsor marina offers extensive facilities and services on site as well as fuel, enabling you to fill up as and when you need. Just a short passage from Windsor marina, Boulter’s Lock is a lock and weir on the River Thames. It’s a peaceful area and offers some good walks with several good places for lunch. Set against the backdrop of the tranquility of the river, Boulters lock makes for a relaxing day on the water onboard the Stevens 34. Take the time to just sit onboard and watch the world go by. 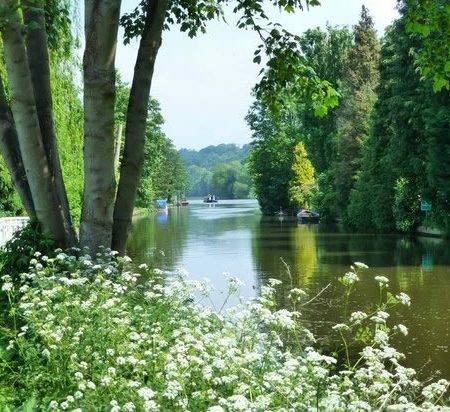 For an overnight trip, Marlow is one of the loveliest locations on the River Thames, set amongst the rich meadows of the river valley and alongside the woodlands of the Chiltern Hills. Mooring up at Higginson Park on the north bank is an idyllic location, being only a short walk to the historic streets and abundance of boutique shops, bistros and cafes that all add to the towns unique charm. 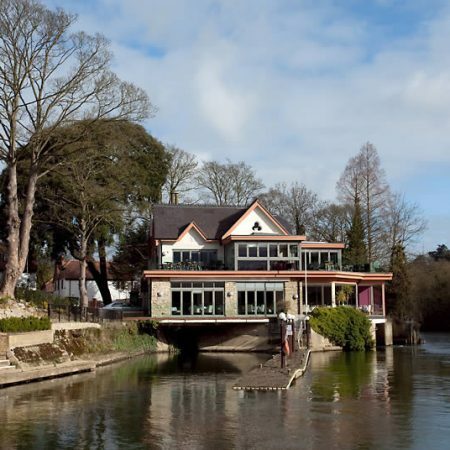 Serving elegant, modern British cuisine with relaxed and friendly service, the Riverside Brasserie presents a wonderful dining experience surrounded by river views. If you’re looking for a more casual approach to dining, the Riverside Terrace Bar menu offers rustic pub classics with a modern twist and friendly atmosphere. With river moorings right outside, this is a real family pub where everyone is made to feel truly at home. Decked out with more flags, slogans and colourful memorabilia than a 60s student digs and an outside terrace that stretches all the way down to the river’s edge, it is the perfect place to spend an afternoon or evening whilst enjoying a drink and something to eat from their extensive menu.